Spreading illumination and enlightenment? When the year grows dark, it's time to shed some light on your community. 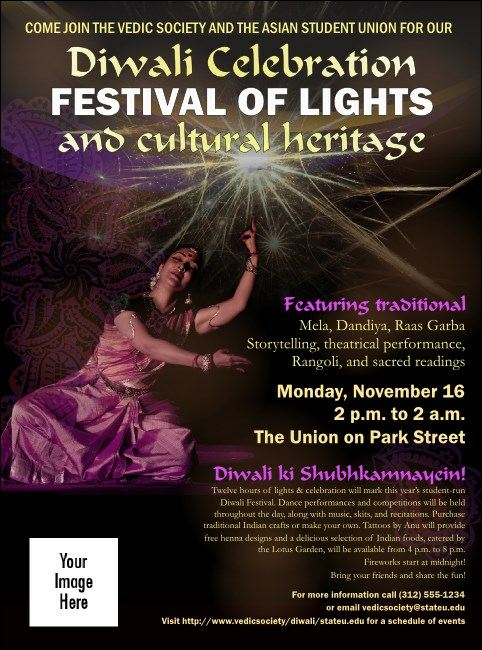 If you're celebrating the Festival of Lights, this colorful Diwali Flyer, featuring a sky full of fireworks and a costumed dancer, is a lovely way to start the celebration in safety and style.